Thanks to a combination of our reliance on the professionalism of the technician recommended to us by our broker, and his complete lack of same, we have spent nearly two weeks here and have yet to get any work done on our boat. 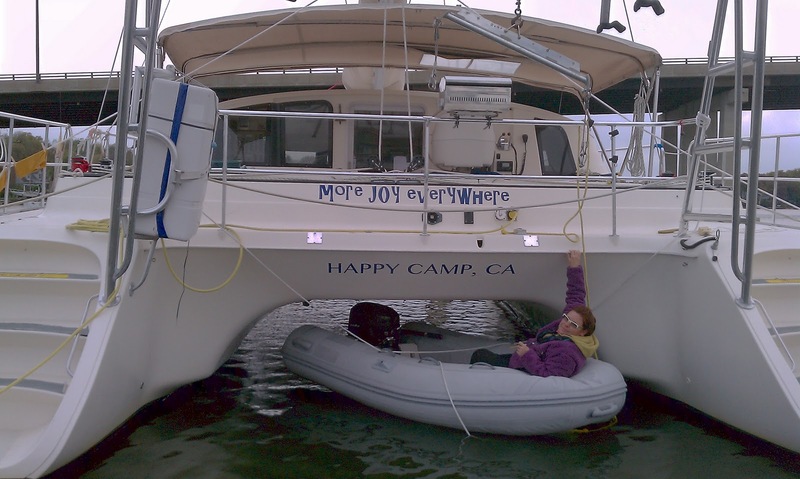 This now includes a new nav system, as we have decided to upgrade the one installed on Joy when we bought her. The other items on our list have been either imposed on us by our insurance company or (a far shorter list) are things that will either make life aboard more good (like an hdtv antenna) or less bad (like a deck pump out for the holding tank--use your imagination--on second thought, don't). However, the longer we are here in the cold, the shorter that list becomes. At the recommendation of another cruiser (Cap, we'll let you know how it went), we have made an appointment with a different firm and we are scheduled to arrive at their yard on Sunday, sans GPS. Well, not exactly--there is an app for that, of course. They predict it will take two weeks to make all the repairs/upgrades we've requested. Jane is determined to be on our way by Friday (her birthday), however, so we'll see what we end up with. Really, as long as we have a navigational system, we can get to a boatyard further south to complete our list. 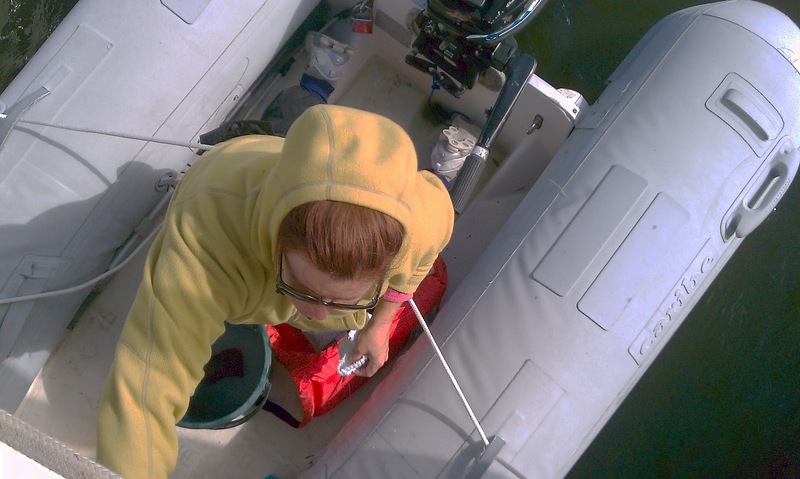 Jane getting the transom ready for "Joy"
We, did make some progress on other fronts today. We got the name and hailing port on on the transom and the name on the starboard side. The port side will have to wait until tomorrow as it plans to rain and/or snow today. Ah, but it wouldn't be an adventure if everything went right. More news...and hopefully joy...to follow. Tuesday, but Not "a Year from Tuesday"